This is the inspiration behind Urbaneco Australia’s 2012 Melbourne International Flower and Garden Show (MIFGS) entry. Taking the idea of nesting as a starting point, Charlie Evans and his team have created an urban sanctuary in human scale. Central to the design is a human ‘nest’, a wooden form that envelopes the lucky inhabitant. The form swings from a steel ribbon that snakes its way through the landscape. Changes in topography, and clever use of planting, reinforce the feeling of connection to the environment. As Charlie says ‘ I want the shape to be nestled completely in planting to get the effect of a real sanctuary. ‘ The landforms are also key to the creation of a space that is welcoming, protecting and nurturing. The planting is restrained, focusing on shape and movement. Grasses and perennials have been chosen to create a meadow-like setting. The main drama comes from some beautiful tall smoke trees, Cotinus x obovata ‘Grace’. These give height and form without bulk. The stunning foliage colour ties in with the some of the harder elements – wood, steel and stone. Waterhouseas and Eleaocarpus are used to delineate and encompass the area, giving a soft, green vertical element to contrast the changes in height and shapes in the horizontal planes. A low wall also plays across the space, it’s curved outline echoing the slopes and mounds of the ground. Urbaneco Australia are a multi-award winning company, whose work has been shown both in Australia and overseas. 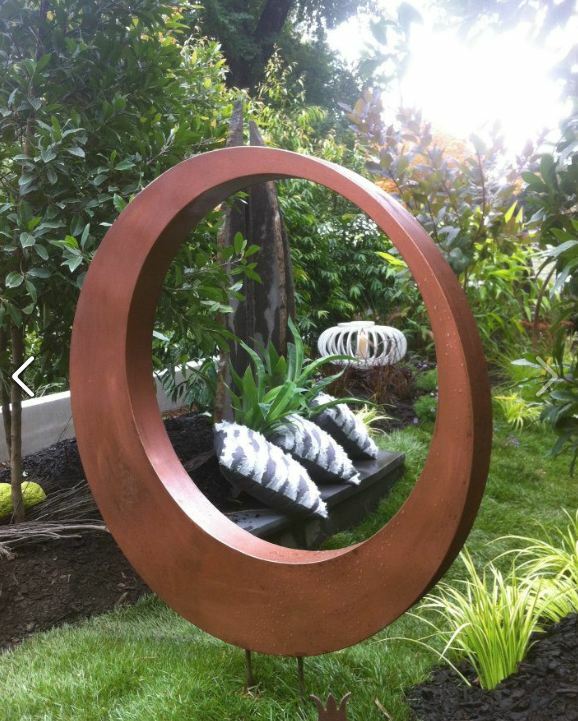 Kilby Park Tree Farm is very proud to be principle sponsors for their stunning 2012 MIFGS design. Read more about Urbaneco Australia here.